I've been in a great groove with homemade meals lately. For us, bread often makes the meal. This isn't to say we don't eat heaps of healthy whole foods. But if we're trying to be successful with resisting takeout and meals out of the house, making tasty pizza and other bread-y things is essential. So, I want to share with you the ONE recipe I've been using to make all of it. 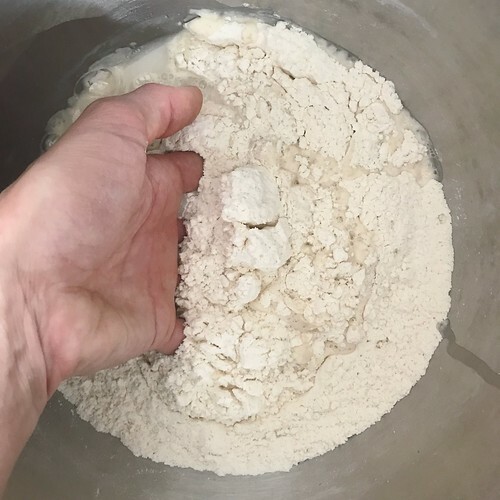 I use this mix for garlic knots, pizza dough, and naan. In a large bowl, whisk together 3-1/2 cups flour, the sugar, yeast, and salt. Add in water if you're making garlic knots or pizza dough. Add in milk if you're making naan. Mix with your hands until a ball forms. 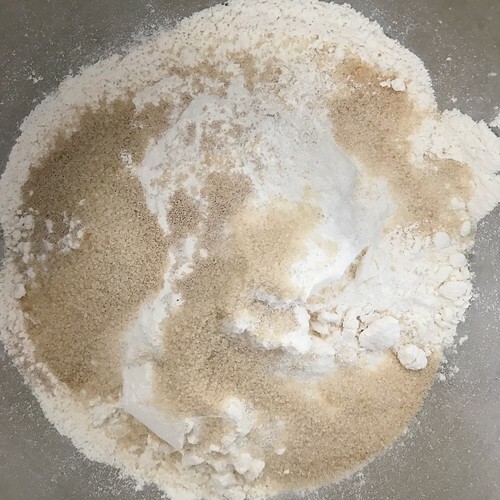 You may need to add more flour if it's too sticky to handle. Knead for 5-10 minutes. I find it's best when I really take the time, but five minutes will do in a pinch. Drizzle with olive oil and cover with plastic wrap or a damp tea towel. Let rise in a warm spot for 2-3 hours, until doubled in bulk. To bake . . .
Divide into small balls to make garlic knots. Bake for 10-13 minutes at 425 degrees F, until golden. Divide into discs to make pizzas. We place this dough on well greased pans and press it thin. Bake with toppings at 450 degrees F for 10-13 minutes, until golden. 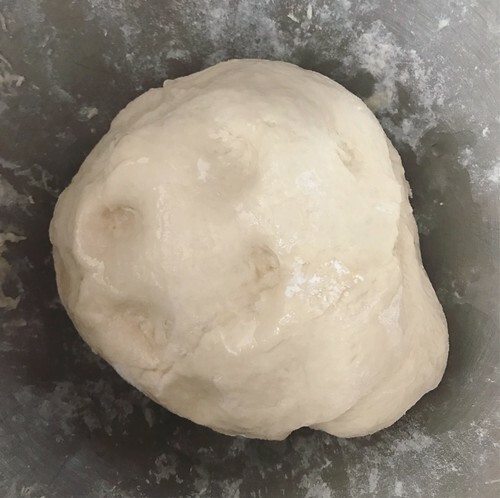 Divide into fist-sized balls and roll flat for naan. Bake on a pizza stone in a well preheated oven at 500 degrees for a few minutes until golden. What's your favorite multi-purpose recipe? I hope to be back into another blogging groove soon. Ada woke up with the stomach bug and I have some big deadlines this week. But we'll all survive! What would you like to see next? Any requests?